I’m on a mission to make my way around Europe this year and with a full time job, that means making the most of my weekends and my great location here in London. Gdasnk was my first trip of the year which I did in 36 hours and Hamburg, a couple of weeks later was my second. This one was for Andrews’s birthday so I was happy to take the Friday off although if you got up at a reasonable hour, rather than midday like him and the boys, then these five things could easily be done in less time, getting you back home ready for work on Monday morning. It's a traditional German beer house and the most German thing we did all weekend. Hop on the U1 train and get off at Meßberg station, then it’s just across the road. Inside, we ordered a 10 litre barrel of their home brewed beer (€79) which sat on a stool at the end of our table; that kept the boys going for a few hours! 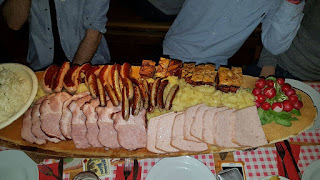 The menu was small and very meaty but there was only one dish that anyone wanted: the Gröninger Brauerschmaus (Brewers Feast.) It’s a sharing board filled with a selection of sausages, meatloaf, pork belly and Kasseler as well as speckkartoffelsalat (potato salad), coleslaw and radishes (which of course no one touched!) We ordered for eight and it was over a meter long when it arrived. You need at least four in the group to order and it costs €17 per person. Or in our case, get the lift to the top. 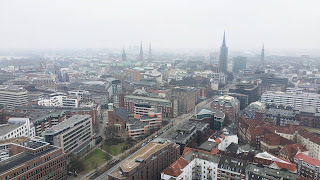 St Michael Church is probably the most famous church in Hamburg and from the top (106 meters up), you have the most incredible view over the whole of the city. Again, we hopped on the train and stopped off a couple of minutes’ walk away. We actually did this on our way back to the airport; seeing the view from the top didn’t take us long although there was a lot more of the church and the crypt below to explore if you wanted to. It costs around €4 to go up to the top and €6 to see the crypt below. 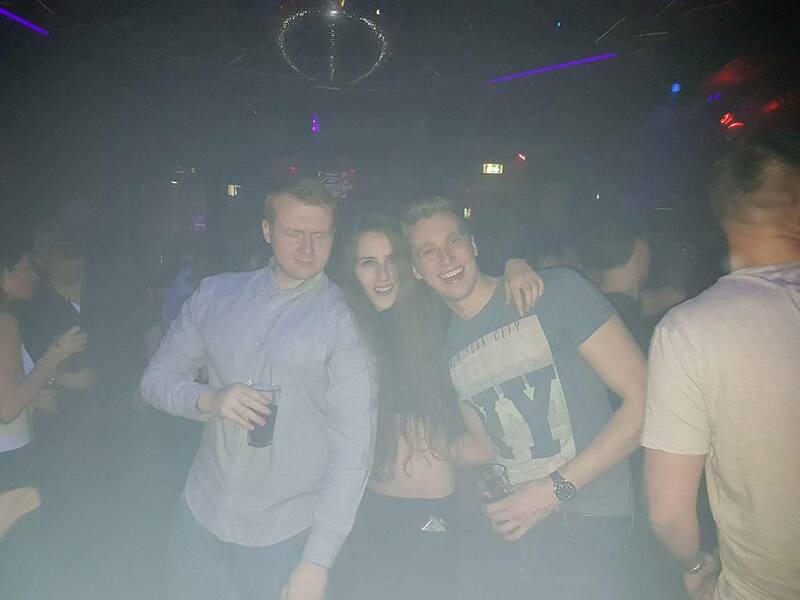 We went on a bar crawl with our hostel and I would totally recommend it. Even though there were already eight of us, it was great to meet some other people and of course to see where was good from a local’s perspective. We made friends and met up again the next evening. The nightlife itself was great, the music was a good mix of current chart music and 90’s stuff, the drinks were cheap and the clubs were still going strong when we left at 5am with a slice of pizza. This place is one of Hamburg’s biggest attractions so we thought we’d better visit. It cost us €13 each to buy tickets there, for entry into the exhibition. It’s a model world complete with tiny people, working trains (the largest model railway in the world don’t you know) and even its own lake. A few of us whizzed around and saw it all in an hour while the rest of the boys spent much longer having a proper look at each country. We went on a Saturday afternoon and it was very crowded. 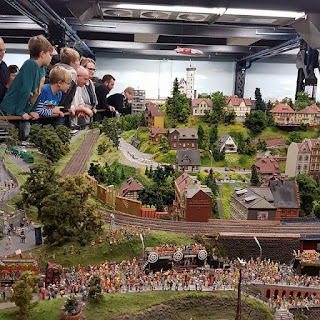 Minature Wunderland is in a great location near the docks with the Hamburg Dungeons next door – they do English tours at 10am if you fancied that as well. Take the U3 train to Baumwall. 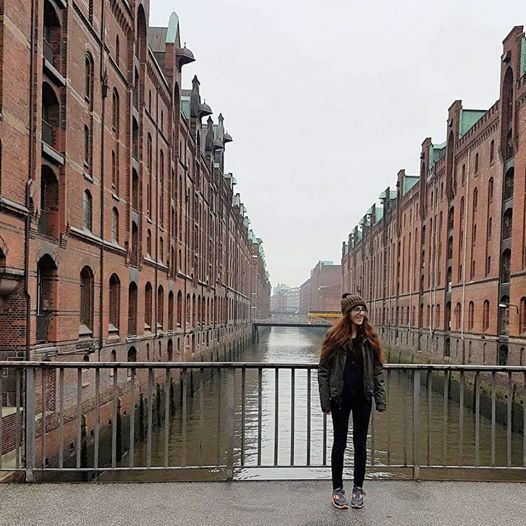 Have you ever been to Hamburg? You might be wondering why I was staying at a hostel when I live here so let me explain! The 28th of Feb was a busy day this year; Pancake Day, obviously but it was also National Public Sleeping Day (whatever that means) so the guys at The Generator invited a bunch of us bloggers to come and celebrate. The Generator is in a great location, not only for a traveler coming from St Pancras but for me coming from work, it was 20 minute walk (Tottenham court road if anyone cares.) The hostel has a street front which makes it very easy to find - you have to walk down the little alley next to it which brings you to the hostel itself. I was first to arrive and very pleased when the lady at reception told me I’d been given a bottom bunk. All about the bottom bunk; Do you guys have a preference? Whoever deals with their playlist has amazing taste in music because the 90's were the soundtrack to our evening and everyone loved it. Music was playing loud all night through reception and the common areas; amazingly you couldn’t hear any of it from inside the room. I was staying in room 105 which is on the same floor and probably as close to reception as you can get. Our 8 bed dorm was spacious and light with a sink in the corner and two bathrooms, each with a toilet, sink and two showers just outside. 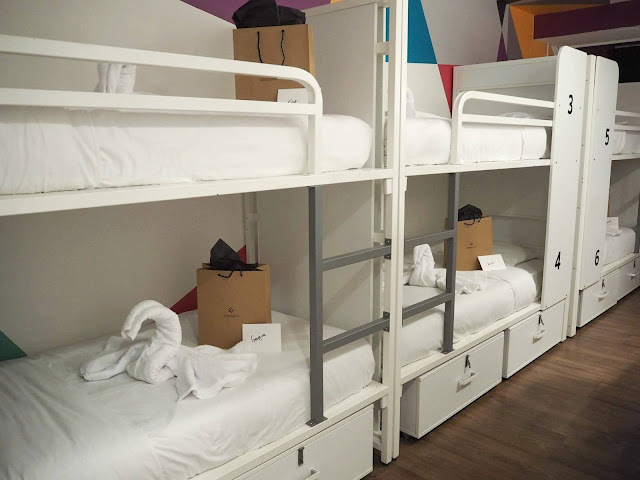 According to the website, these 8 bed dorms don’t exist but a similar 10 bed ones costs £12 per night (although that price changes every time I check - when I checked for a Tuesday night in April, it was £22). The beds were clean and comfortable and there were big storage lockers under them although you need to bring your own lock. Connecting to the wifi was easy with just my name and email but when I set about trying to charge my phone before everyone else arrived, I was shocked to find that there were only two plug sockets in the room! I went to inquire at reception and they quickly brought us an extension lead so it wasn't a problem. Outside of the room, there were so many sockets - I guess its all about bringing people out of their rooms, The Generator are all about getting people talking. When the other girls arrived, we popped open the champagne that the team had left for us and made our way to the cinema style common room. By now the whole place was packed, it was a Tuesday night and the hostel was totally full. We had a look around the bar, the food area and the coffee/snack area and there were people everywhere. I know I’ve only stayed in 4 hostels so far but this one was by far the biggest and most social. The evening was spent making cocktails; and then making pancakes before going out for some drinks! 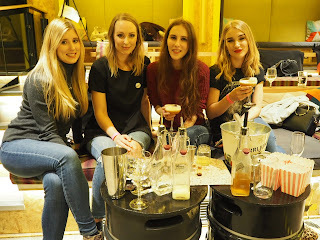 They had organised a private bar crawl for us and while most of the girls stayed at the hostel, Rosie, Kristy and Kristina, the three who I was sharing a dorm with were up for a night out! We caught a bus to Camden and partied the night away. I woke up pretty early since none of us thought to close the curtains when we rolled in at 2am but it was a very comfortable night’s sleep. In the morning we had a cooked breakfast. I went for the bagel benedict (£6.50) which was just what I needed after the night before; the girls had a fry up which cost the same. After that, we handed in the keys and that was that; my little overnight stay ended with a walk back to the office. The more I travel, the more I notice myself wishing I had certain things with me; many a night abroad have I spend stressing about whether to charge my phone or my camera because I'd only brought one adapter with me. Things like this kept happening so I made a list of all the techy things I needed to get for future trips and went on the hunt for them. What I didn't expect was that I would be able to find everything I needed in Primark or, that I'd be able to pick them all up for just over £50. These days, I don't even go to work, let alone travel to another country without at least one of these with me. I got back from Portugal late last night and today is the first time I've ever forgotten to bring my wire with me; que mini breakdown when I got to work. I bought my first one in Primark years ago and still use it today although they've upgraded the ones in store a little bit now. With a new sleeker design, and a range of colours to choose from (all of these things come in rose gold uh-mazing!) there is also a choice of power; you can now get a 200mAh which is enough for one charge or a 400mAh which is enough for two! I've never had a pair of big headphones but after 20 hours on a plane home from Bali via Hong Kong last year, I promised myself I'd get some for any more long haul flights. As I'm sure you are aware, the headphones that they airlines give you are absolutely terrible and my normal headphones are just little ear buds which aren't so comfortable after a few hours. Also they fell out every time I moved which is pretty annoying when it took 10 minutes just to get comfortable in the first place. I think the next product was the one I was most surprised to see in store; the action camera. I love my GoPro but it's an expensive purchase (plus my one doesn't have a screen which is really annoying). Primark's action camera is the same size, it comes in a waterproof case and it has a screen! Whilst the photos and videos are not as good quality, they were actually better than I was expecting (see here) and would be fine for sharing on Facebook. The camera is super easy to use and comes with 6 different fittings, as well as a 8mb memory card so you dont have to buy one! Again, for that trip, we did all the research, we spent £15 on plug adapters before we left and it turns out they use the same plugs in Hong Kong and Bali as they do in Europe so that was a big waste of money. Anyone else find it impossible to get a proper idea of what plugs sockets look like around the world? Anyway, Primark are selling a changeable USB adapter which solves this problem so we'll never have to buy an adapter again. Rather than a mains to mains socket, this one is mains to USB with two ports meaning I can change my phone and my GoPro at once. If only I had one of these for past press trips. What are your tech travel essentials?